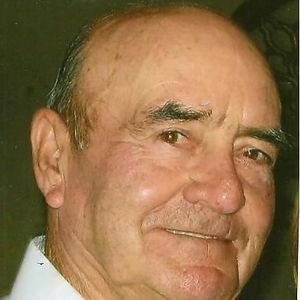 SOUTH CARROLLTON – James H. "Buster" Gunterman, 83 of South Carrollton, a Korean War Veteran passed away Friday, July 20 at St. Mary's Hospital in Evansville IN. He was born on March 4, 1929 and was a retired welder at River Queen Mines. He was preceded in death by his wife , Betty Jean Gunterman, his parents. James R. & Lillian Gunterman, two sisters, Clara Uzzle & Wilda Pointer, two brothers, Jimmy Gunterman & Eugene Gunterman . Survivors include three daughters and son in laws, Debra(Bobby)Sweeney of Greenville, Rebecca "LuLu"(Kevin)Edwards and Pamela(Tony)Walley both of Bremen, a son Jeffery Gunterman of South Carrollton, grandchildren, Amie(Donny)Cain, Derrick Edwards, Jenny Beth Jones, Mandy Lile & Kaitlyn Walley, great grandchildren, Kayla Walker, Mason Cain, Ashtynn McPherson, Kailey Jones & Madden Jones, three sisters, Wanda Nelson & Roberta Slinker both of Greenville & Judy Brown of Bremen. Visitation will be held on Sunday, July 22 after 5:00 PM with funeral services on Monday, July 23 at 11:00 AM at Tucker Funeral Home in Central City with the Rev. Donnie Wilkins officiating with burial to follow in Rose Hill Cemetery in Central City. The beautiful and interactive Eternal Tribute tells James 's life story the way it deserves to be told in words, pictures and video. My daddy was a very special man he was loved so much by so many people, especially me. He did a wonderful job raising the four of us when mama passed away so many years ago, I will forever be grateful to him. As much as I didn't want to let him go he is in God's hands and is at peace! We our so fortunate to have such good family and friends that have supported us through this heartbreaking time. We our so fortunate to have such good family and friends that have supported us through this heartbreaking time. Thank you so much for your prayers and loving expressions. 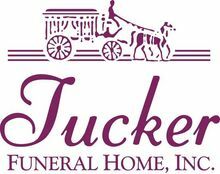 A special thanks to Tucker Funeral Home and their wonderful staff for all the special care they gave to us to help ease the pain. My Papaw was such a wonderful man and was always there for me and I love him dearly. It's such an honor to be his granddaughter and I already miss him so much. I love you Papaw Buster and I know I will see you again someday. So sorry to hear of Uncle Buster's passing. He will be missed. I loved to hear him laugh. So sorry to hear about the loss of your father on this heavenly Earth. Praying for each of you and knowing God will wrap his loving arms around each one of you during this time. May it help to know others care and love you all. Judy,, we are so very sorry to hear of your loss. your are in our thoughts and prayers. call if you need anything. buster was a sweet man. he will be greatly missed. Debra, we are so sorry to hear about your loss. Just know that during this difficult time, we are thinking about you and you will be in our prayers. So sorry to hear about your loss. Keeping you in my thoughts and prayers. debbie, lulu, and pam, and all the grandkids. i am so sorry to hear about buster. you are all in my prayers. Debra Sorry to hear about the loss of yor father. My heart goes out to you & your family.